TARCEVA monotherapy is indicated for the maintenance treatment of patients with locally advanced or metastatic non-small cell lung cancer whose disease has not progressed after four cycles of platinum-based first-line chemotherapy. TARCEVA monotherapy is indicated for the treatment of patients with locally advanced or metastatic non-small cell lung cancer after failure of at least one prior chemotherapy regimen. Results from two, multicenter, placebo-controlled, randomized, Phase 3 trials conducted in first-line patients with locally advanced or metastatic NSCLC showed no clinical benefit with the concurrent administration of TARCEVA with platinum-based chemotherapy [carboplatin and paclitaxel or gemcitabine and cisplatin] and its use is not recommended in that setting . TARCEVA in combination with gemcitabine is indicated for the first-line treatment of patients with locally advanced, unresectable or metastatic pancreatic cancer . Tarceva® (erlotinib), a once-a-day pill, was one of the first targeted treatments approved by the U.S. Food and Drug Administration (FDA) specifically designed to target the epidermal growth factor receptor (EGFR) pathway. Tarceva has been shown to help some people with advanced NSCLC and advanced pancreatic cancer live longer. FDA has approved Tarceva (Erlotinib) for the treatment of advanced non-small cell lung cancer, a pill to treat lung cancer. The approval by the FDA came well before the agency's late-January deadline, making it one of the fastest drug approvals ever. Tarceva was approved for patients with advanced non-small cell lung cancer, who have failed to respond to at least one prior round of chemotherapy. Previously a similar drug Gefitinib (Iressa) by AstraZeneca was approved for the same indication (non-small cell lung cancer) but it was later shown in a large study that the drug does not increase survival. 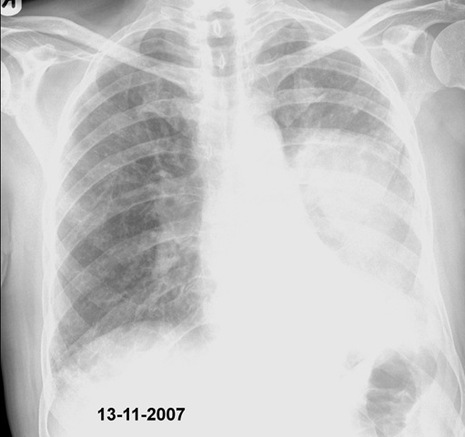 Gefitinib is non longer an active option for non-small cell lung cancer patients. Tarceva has shown to prolong life in in patients with non-small cell lung cancer a clinical trials by a median of 6.7 months compared to 4.7 months for patients who got a placebo. So far, Iressa has only been shown to shrink tumors.